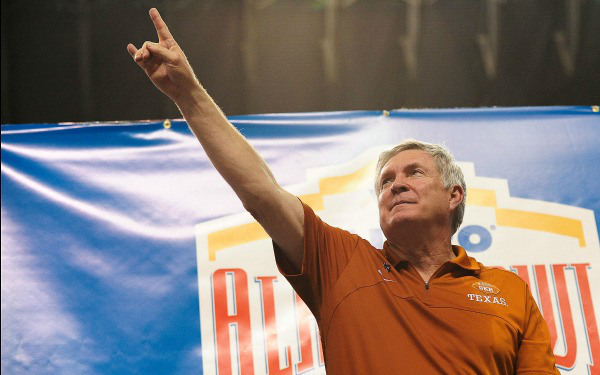 Yup, Mack Brown resigned from Texas. Speaking as a K-Stater, I will miss him. He was so easy to coach against. Watch me talk about that, Nick Saban, BCS National Championship Game, Sugar Bowl, Buffalo Wild Wings Bowl, Alamo Bowl, Oregon, Kansas State, Michigan, Brady Hoke, Devin Gardner, Daniel Sams, Jake Waters, Oklahoma, Alabama, Missouri, Oklahoma State, Big 12, SEC, and Jamies Winston.